Learn Skills. Win Prizes. Play with your Friends! 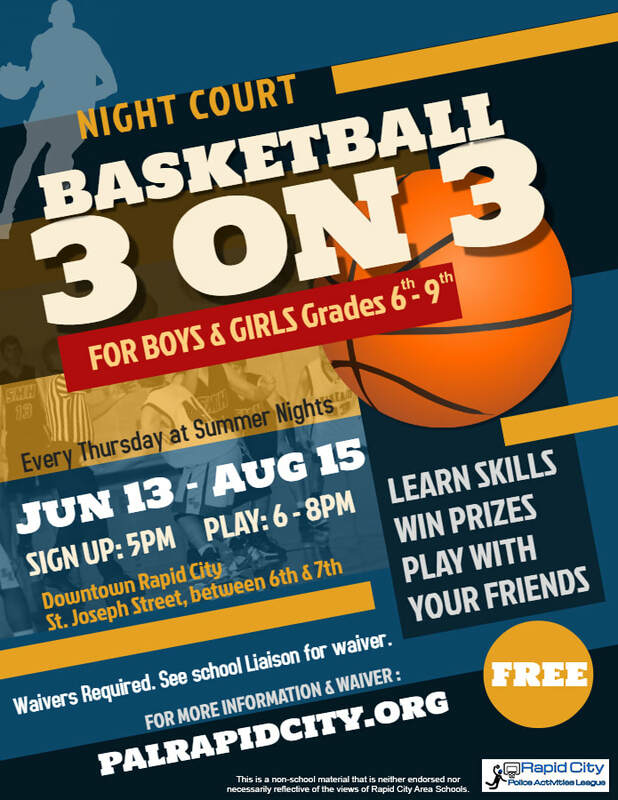 ​3 on 3 basketball tournaments for youth, 6th - 9th grade, during Summer Nights in downtown Rapid City, SD. 2019 season starts on June 13! A waiver is REQUIRED to play basketball at Night Court. Make sure to get it signed by a parent or guardian!